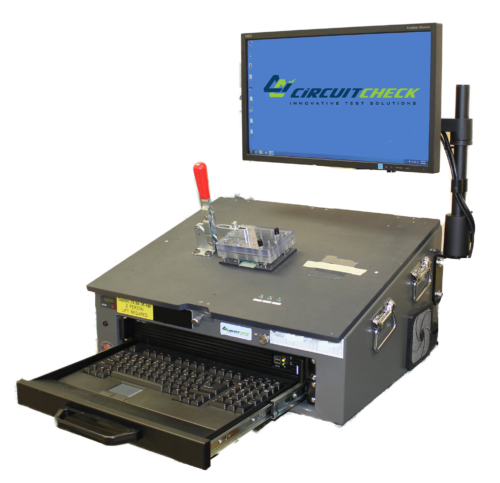 The Circuit Check 300 Series benchtop ATE Test Platform with built-in professional fixturing solves the uncertainty of repeatable results that are common with bench testing. With the 300 Series Benchtop ATE, test procedures can become automatic, with test steps and go/ no-go limits easily programmable in common tabular form. Hand-probing is eliminated, replaced with accurate, repeatable tooling and reliable spring-loaded test probe fixturing. 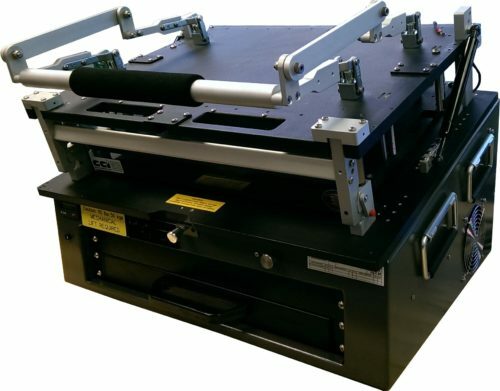 The 300 Series Benchtop ATE is designed to be a lower cost ATE test system offering specific customization options to ensure accurate measurements and mechanical longevity. 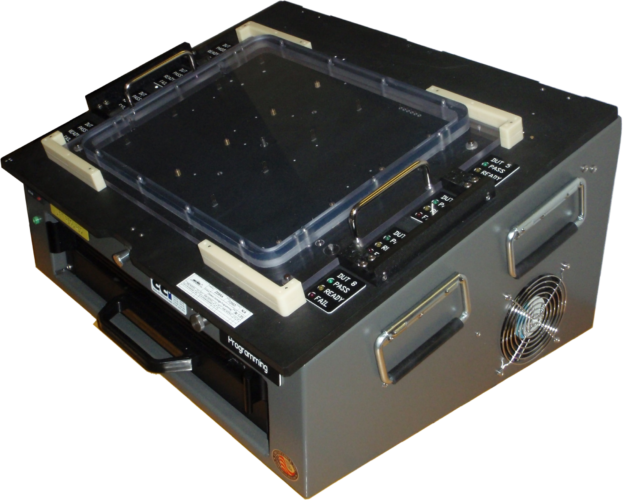 Included within the 300 fixture are many of the common bulkhead interconnects, such as LAN/USB, as well as an emergency stop and cross draft fan system to adequately ventilate heat. The USB bulkhead can be used to add a handheld barcode scanner or label printer to the system. The 300 Series Benchtop ATE is configured to customer test requirements in order to maximize performance at a lower investment, supporting USB and Ethernet instrumentation. Circuit Check test systems are designed upon modular instrumentation platforms. This results in accelerated system deployment and provides for capital equipment reuse. For over 40 years, Circuit Check is the partner of choice delivering thousands of systems and hundreds of thousands of fixtures worldwide. 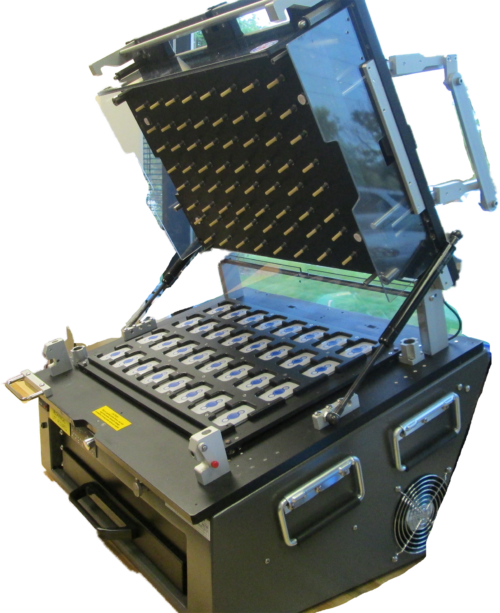 Circuit Check understands the needs for test platforms that must operate in production test environments while preserving measurement correlation. Circuit Check supports all aspects of the system development process including electrical and mechanical design, software development, fabrication, system integration, deployment and support. With a modular functional test system from Circuit Check based upon commercial off the shelf instrumentation, our customers accelerate deployment of production test strategies at reduced investment costs.